For drivers looking for a fuel efficient and sporty compact sedan, the VW Jetta and the Honda Civic are both tempting options. At Volkswagen Lee’s Summit we want to show drivers in the Lee’s Summit, North Town, Overland Park, Mission, and Olathe areas how these two great vehicles compare against each other. Read more to see how these two compact cars differ and what each has to offer over the other. If you’re looking for a vehicle that can offer great performance with a small, compact design, you couldn’t go wrong with either of these vehicles. The 2019 Honda Civic offers a robust standard 2.0L inline 4-cylinder engine with 138 lb-ft of torque. You’ll be able to move nice and quickly with this peppy drive. But the 2019 VW Jetta offers a standard 1.4L inline 4-cylinder turbocharged engine. You’ll be able to fly down the road with 184 lb-ft of torque for a fun and engaging drive. The torque offered by the VW Jetta is much higher than what is offered in the Civic. With that amount of torque, your vehicle will be energetic and responsive for a more entertaining commute. Both vehicles offer great fuel economy for drivers looking to save some time by staying away from the pump. With the 2019 Honda Civic, you can enjoy an available fuel efficiency of an EPA-estimated 30 city MPG and 38 highway MPG in the base trim. 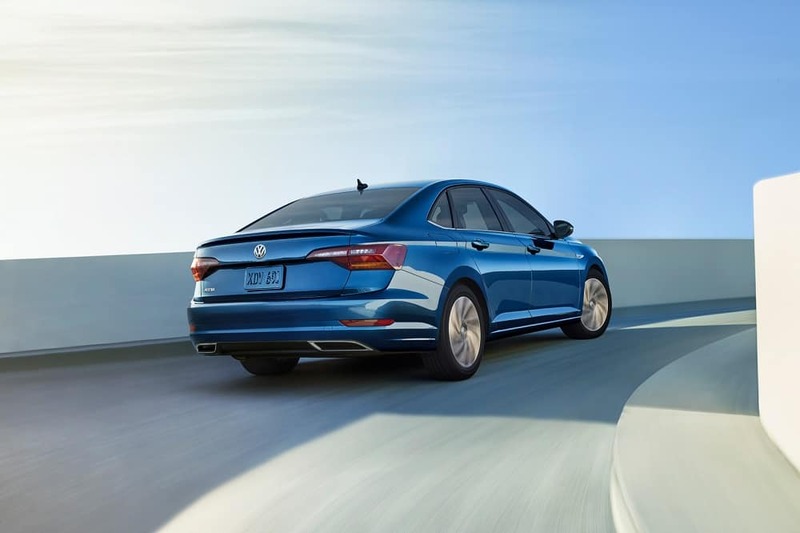 But the 2019 VW Jetta offers a higher fuel economy in the base trim with an EPA-estimated 30 city MPG and 40 highway MPG.1 This sedan is great for drivers who want to drive long distances. If you want to stay away from the pump, the VW Jetta will be better there. Both the 2019 VW Jetta and the 2019 Honda Civic offer advanced safety features that’ll make your commute safe and comfortable. You’ll find that both vehicles offer features like Lane Keeping Assist. This feature will enable your vehicle to automatically adjust your steering if you begin to drift out of your lane without using your blinker. But the VW Jetta offers the additional available feature of Park Distance Control. This technology uses sensors on your car to alert you to when you’re nearing an object in front of or behind you while parking. The Park Distance Control feature is great for drivers pulling out of a parallel parking space. VW Jetta or Honda Civic: Which Will You Choose? The 2019 VW Jetta and the 2019 Honda Civic are both great vehicles for drivers looking for a fun car for their commute. But the VW Jetta has more to offer in terms of performance and safety. 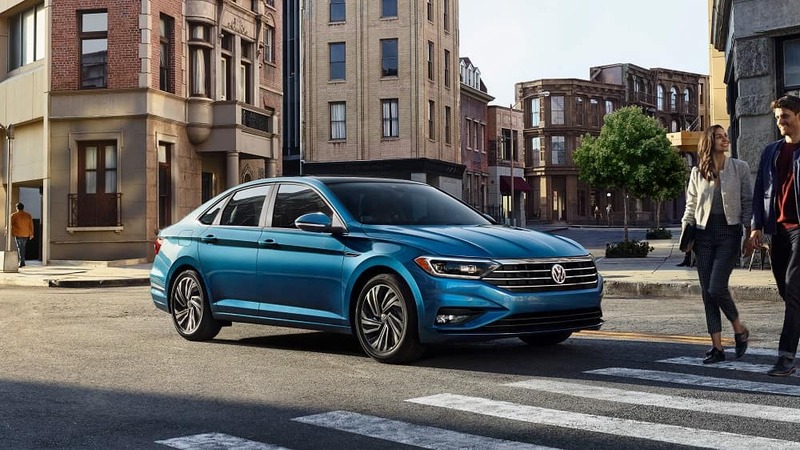 At Volkswagen Lee’s Summit we want to show drivers in the Lee’s Summit, North Town, Overland Park, Mission, and Olathe areas what they can expect from the 2019 VW Jetta. If you want to give the VW Jetta a try, schedule a test drive with us online or over the phone today! 1Based on EPA estimates. See https://www.fueleconomy.gov/for details. Your mileage will vary and depends on several factors, including your driving habits and vehicle condition.